I often wish I had access to balanced coverage of Turkish politics. The combination of the anti-government rhetoric of my largely Left-leaning Turkish family and the pro-opposition narrative of the British Press provides a wholly unsatisfactory picture. This is not the lament of an AKP supporter — I’m not one by any means. I acknowledge that they have done great things for their country, but they also have many shortcomings. As an outsider, many of their actions perplex me. No, this is not the lament of an ardent supporter protesting bias; it is just an ode to balance. The way Turkish politics are reported in Britain, you’d think the leftist HDP obtained the majority vote in the June elections or that they are a dominant force in Turkish politics. But of course the truth is that the ruling AKP obtained 41% of votes, followed by the secularist CHP with 25%. 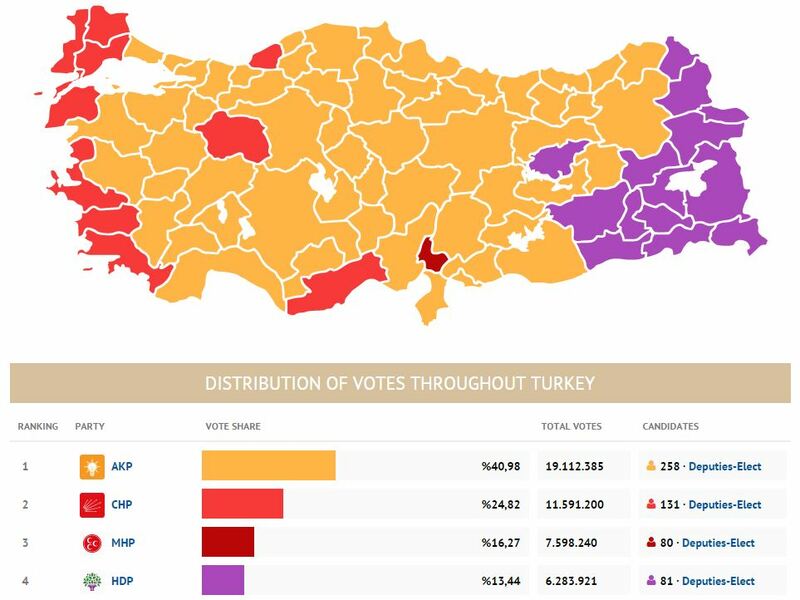 The HDP, by contrast received just 13% of the votes, however significant that may be in their own terms. I have no idea how November’s elections will play out. One thing is certain though: the British press will continue to ignore the majority who vote for either the AKP or CHP. It is as if only 10% of the electorate matter to Britain’s divisive journalists.